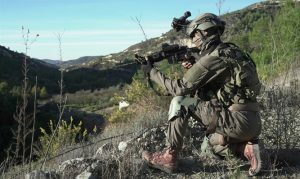 The IDF’s elite “Maglan” special forces and the Israeli Air Force reading for all-out war in a week-long exercise in Cyprus. The war games was a joint exercise with the Cypriot National Guard, in which forces practiced for a variety of scenarios. 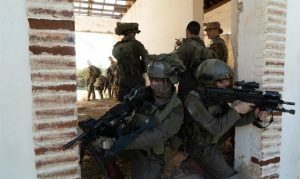 Troops practiced counter-terrorism, urban warfare, open terrain warfare, sabotage and combat medicine in a unique exercise which enhanced the IDF’s specialized capabilities in scenarios dealing with various terror groups. 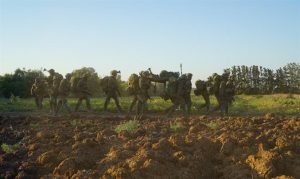 This exercise was another milestone in the meaningful cooperation between the armed forces of Israel and Cyprus, as it is the third exercise conducted by the IDF in cooperation with the Cypriot National Guard on Cypriot soil. Joint exercises were conducted with the Cypriot National Guard in Israel as well.